Are you looking to save money on a graduation party? 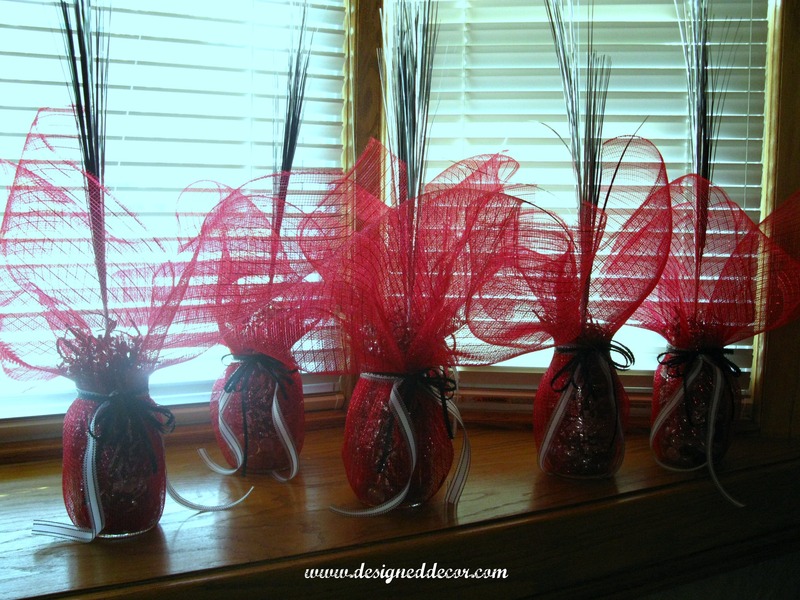 Let me show you a few simple table decorations you can make to save money and give your tables the perfect decor. I have started to prepare for the Graduation Party for my son Mack. We are hosting the party at our house instead of a rental hall, so I wanted to add a few special touches. Hosting the party at your own house or a family members house is a great way to save money on the graduation party. I made all of the decorations for the party as cost savings as well. Make sure you check out this card box holder that I made using an old mail box. The cardholder mailbox is definitely a unique way to hold all those graduation cards. Today I completed the graduation party table decorations. Here is the list of supplies I used for these graduation party table decorations. Begin by filling the bottom of the mason jar with decorative gemstones then place in the decorative grass sticks. Fill the jar with the decorative shredded grass. 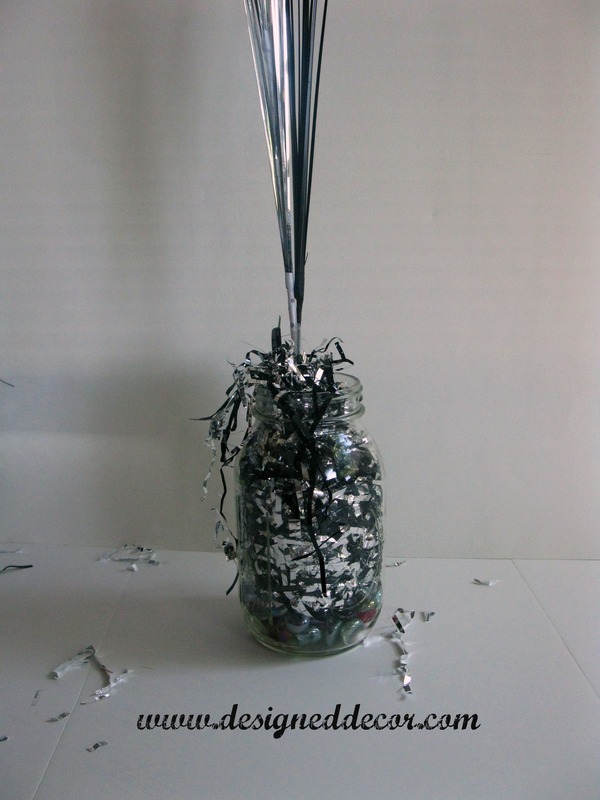 The shredded shiny paper is used to make the jar look pretty and to hold the decorative sticks in place. You will need to stuff a large amount of the shredded grass into a mason jar to hold the sticks in place. I liked that they were over flowing, this gave the mason jar a pretty look if standing above the table decoration. These actually look very pretty just like the below picture without the metallic mesh fabric. 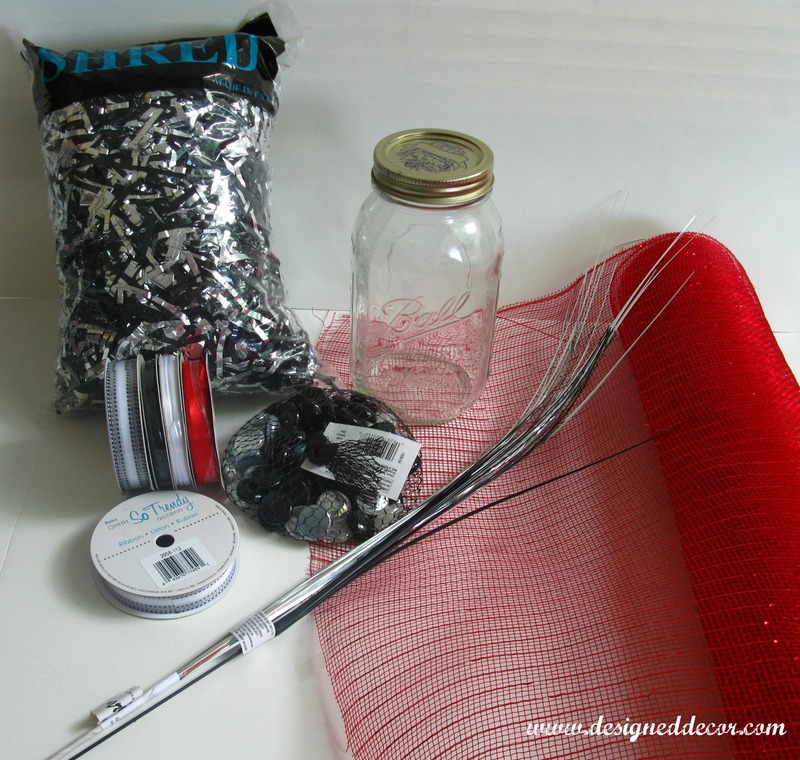 Measure how much mesh fabric that is needed to cover the mason jar and to have extra for the top ruffle. Place the cut mesh under the mason jar and gather the mesh to the neck of the jar. Place a rubber band around the neck of the jar to hold the fabric in place. Once the rubber band is in place, adjust the mesh and tie the decorative ribbon around the fabric making sure to cover the rubber band. If your ribbon is not wide enough to cover the rubber band, add some more ribbon. 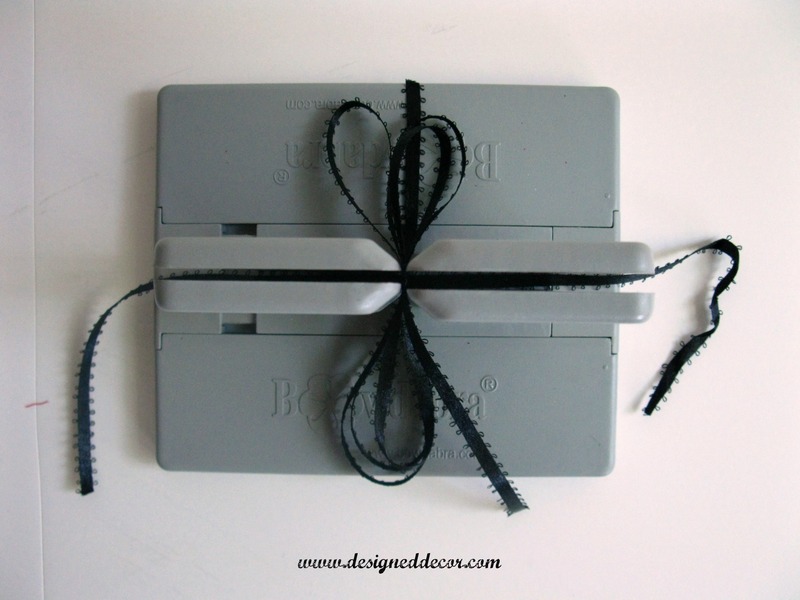 I used a bowdabra bow making device to make the smaller black bows and placed that bow over the top of the wide black and white ribbon. I had the mason jars and the decorative gemstones already on hand. The cost for each of these graduation table decorations was $2.80. So total cost was $16.80, not bad for a beautiful addition to a table. I saved these table decorations after my oldest sons party so I could re-use them for my youngest sons party. I added a few more finishing touches and like how they turned out with the tissue paper puffs and the glitter 2015 cut-out. You may also like these great posts! « Preparing decorations for the graduation party.